Brand Monk Licensing has appointed WOW Heads, Gingercrush.com, Utpatang.com, and Houzzcode as Licensees, producing an impressive range of licensed products in various product categories such as Bobble Head, Bust, Home Décor, Apparel, Accessories, Stationery, Novelty and other Gifting products. With the hugely anticipated August release of A Flying Jatt, many more exciting products will be introduced into the market later this month. The licensed products will be available online at leading marketplaces and select key retail. BML is a 360 licensing company focused on entertainment & corporate brands for brand extension & merchandise. BML has used international best practices to create the licensing programme with creation of complete style guide and processes. Balaji Motion Pictures Limited is India’s leading Film & Television studio, having created many of the country’s popular and memorable theatrical films; such as Once Upon a Time in Mumbai, Dirty Picture, Udta Punjab and many more. 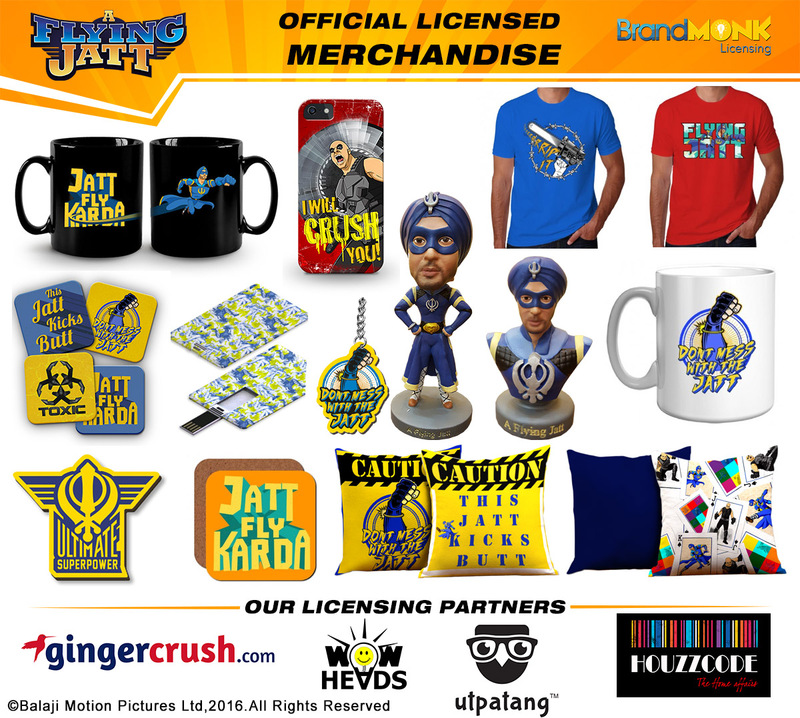 In response to the demand from innumerable fans of its films, Balaji is diversifying into merchandising business with A Flying Jatt’s franchise. A Flying Jatt produced by Balaji Motion Pictures Limited and directed by Remo D’souza stars Tiger Shroff and Jacqueline Fernandes along with Nathan Jones. It is set to release on 25th August, 2016.